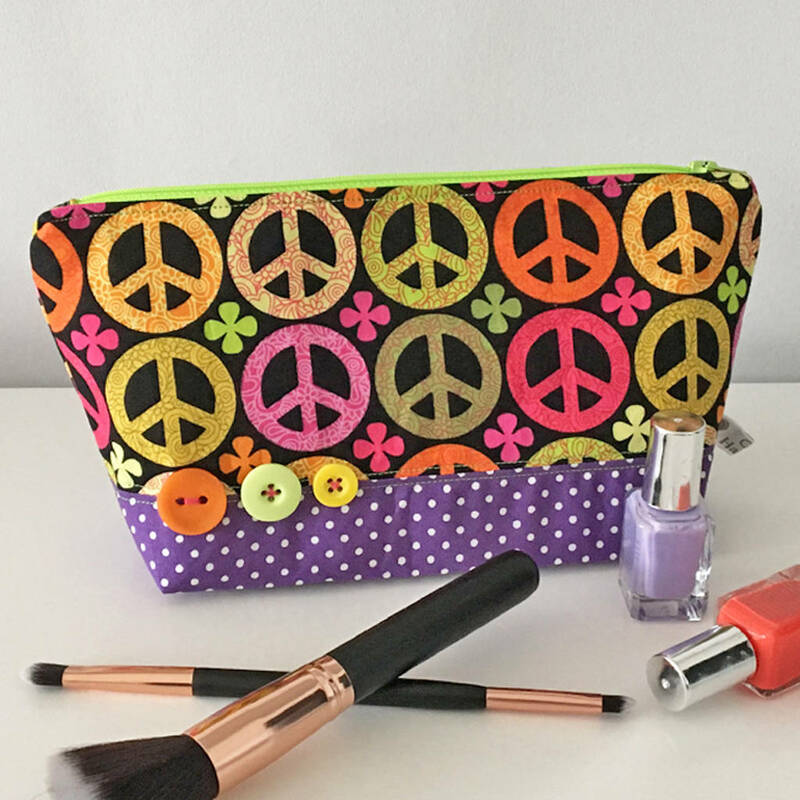 Bright, colourful peace sign and polka dot print fabric makeup bag. 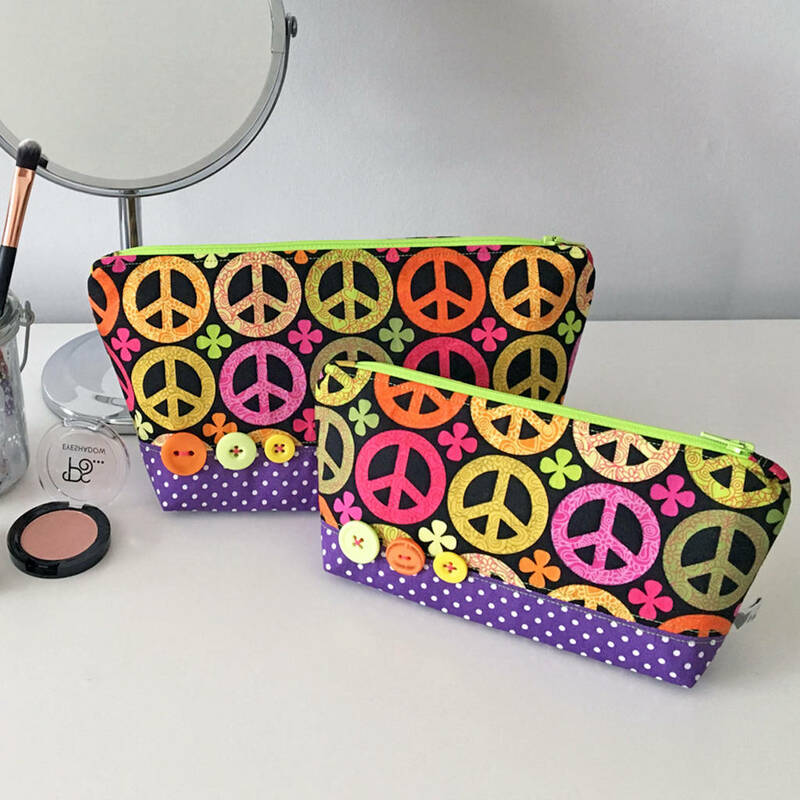 Available in 2 sizes, small & medium. 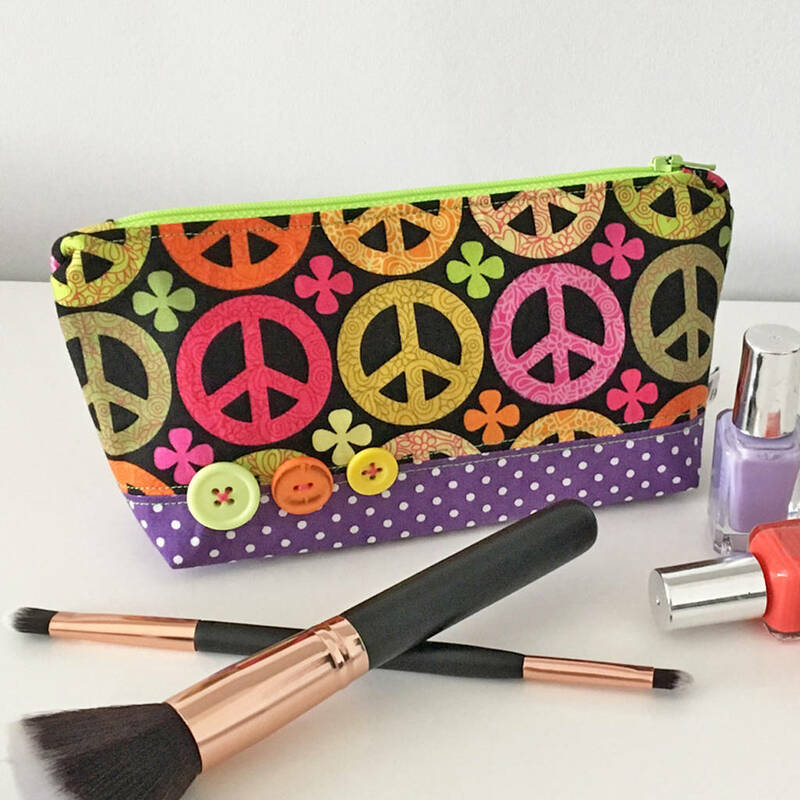 Perfect for keeping your essential cosmetics safe and can be carried with you in a handbag or taken with you on a mini break. 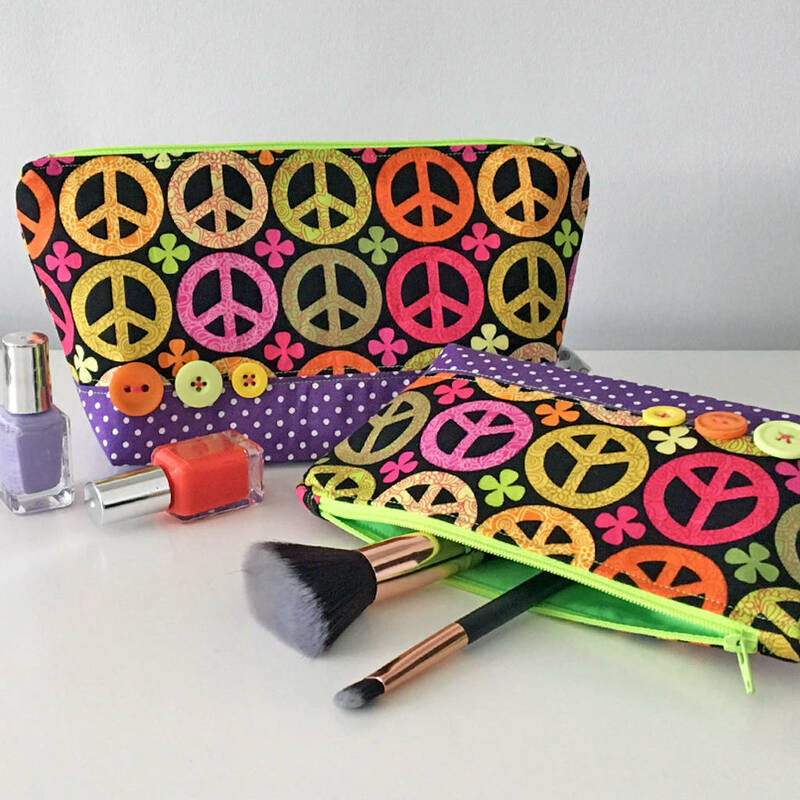 A perfect gift for a special occasion or just a treat for yourself. 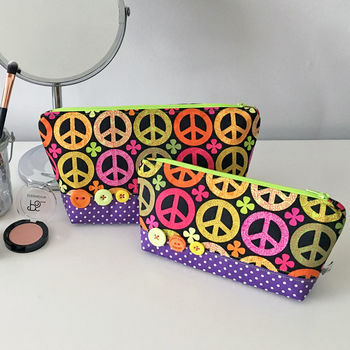 Each bag is made using a brightly coloured peace sign print cotton fabric and purple polka dot poly-cotton and is lined with a plain lime poly-cotton. 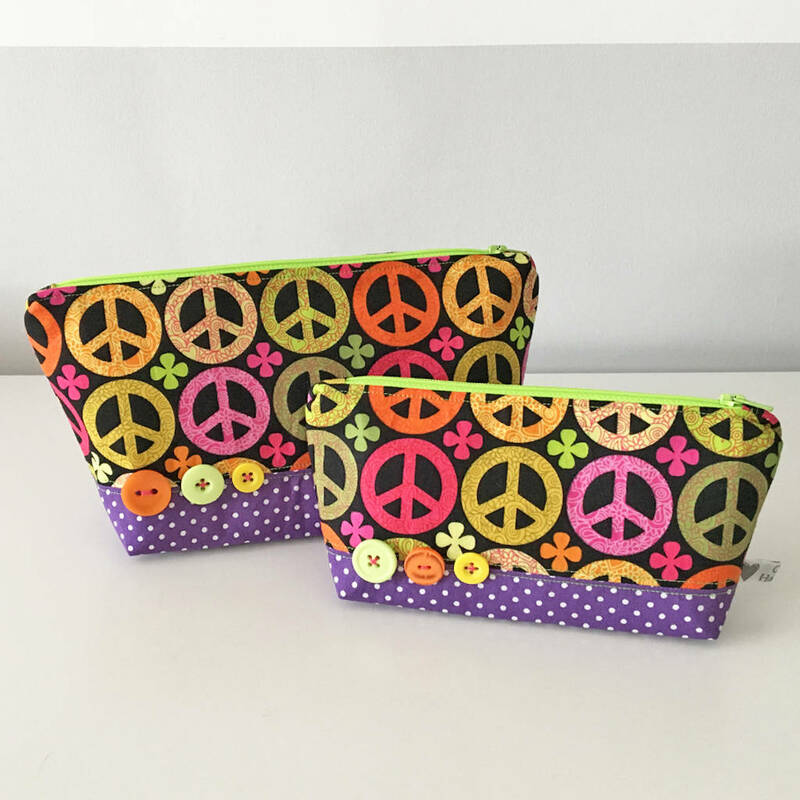 They have a cute button detailed front and are held together with a lime zip. 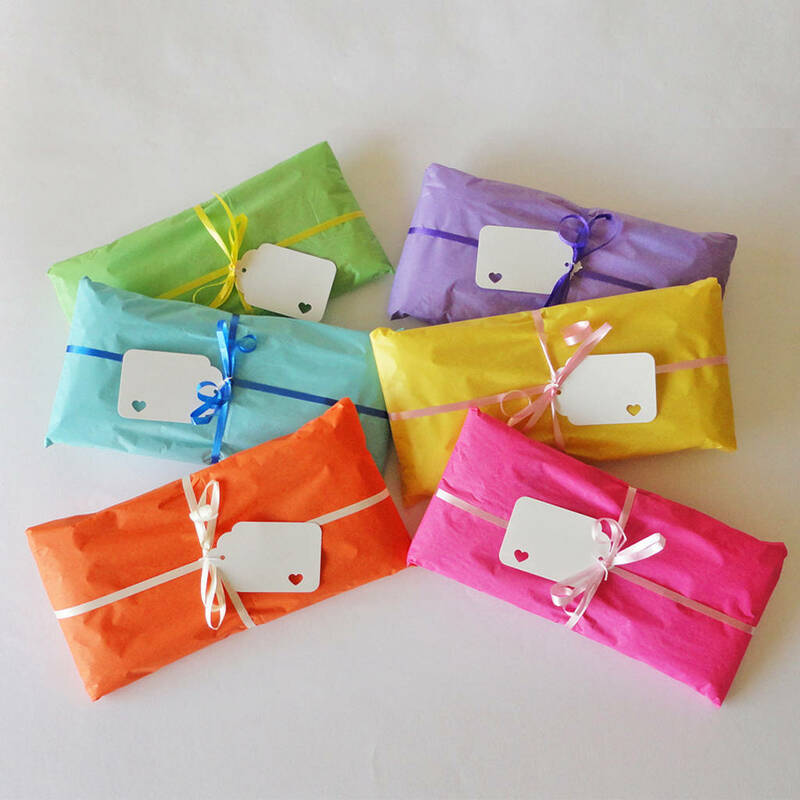 This product is dispatched to you by Cherish Handmade.